From Jean Dixon to Shirley MacLaine, Hollywood was becoming mesmerized with anything to do with occultism, be it psychic powers, astral projection, the art of divination, ghosts, past lives, black magic, witchcraft and yes, even Satanism. Even legendary Hollywood actor Glenn Ford (famed for westerns) proclaimed the reality of past lives. But it was William Peter Blatty’s The Exorcist that changed the very nature of people’s interest into the occult, from ignorance, fear and repulsion, to one of intense curiosity. Blatty’s portrayal of fourteen-year-old Regan, a young girl whose curiosity leads her to the discovery of a Ouija board and ultimately befriending a spirit named Captain Howdy – that eventually invades her house but also invades her body, swept across America like a spiritual Tsunami. The result was profound, not to mention it was the first real spiritual awakening in our nation not seen since the days of The Foxx sisters and their widely claimed feats of the supernatural in 1848. Satan’s greatest avenue to broaden his grip on the world expanded into film, where actors became enriched into capturing the ability to literally become that whom they were trying to be. This feat was known as “method acting”. Method acting is where an actor literally becomes separated from him or herself and attempts to become fully absorbed into the character they are playing. Considered controversial by some, method acting became widely accepted due to one Lee Strasberg. It was Strasberg who literally opened the box to this new form of medium, and it had many followers, Brando, Pacino, Jane Fonda, even Dustin Hoffman praised this venue. Yet what in the past praised, others such as Stanislavski. It was Stanislavski who really pushed the envelope beyond the limit and brought about something Strasberg could not – spiritualism. Throughout the industry, actors became aware of not only the benefits of method acting, but also the dangers. It was said of James Dean that he would manifest certain “personalities” to reach a particular level of character, the ability is where the actor literally pulls outside forces into their personal sphere of mind, body and soul, to literally become who they were trying to portray. Case in point – James Franco. The young actor was selected to portray the late James Dean as Franco would stopped talking to his friends and family, picked up a two-pack-a-day cigarette habit, learned to play bongos and rode motorcycles to get into character. Franco pierced into the spiritual realm to become someone who had long been dead. Some might call this conjuring. In more recent years, modern actors such as Franco and others, even comedians, began to push the envelope with this form of acting either in front of the camera or on stage to project another dimension and that dimension is the spirit world. Case in point, Heath Ledger. Known Hollywood actor among many, it was Ledger who went to extremes in his quest to become something dark and sinister, as in the case of the “Joker”, a fictional character of the Batman series. Mr. Ledger had become so fixated on becoming the Joker, that he lost all mental ability to separate fantasy from reality, in other words, ledger openly admitted to some that he had, at some point, became possessed by the spirit of the Joker. Ledger was not possessed by the fictional character he had been cast to play, but in actuality he became demon possessed by a spirit, a demonic spirit in fact. Ledger would resort to drugs and alcohol (signs of possession) to hinder the war that was raging within his spirit, but it was too late. For on January 22nd, 2008, ledger was found dead from a deadly mixture of prescription medicine and other drugs. It must be understood that Satan walks about like a roaring lion, seeking whom he can devour, the literal Greek meaning of “devour” is to “drink down”. Yet Ledger faced the ultimate betrayal, for the character he was in fact facing, summoning, conjuring was nothing more than a spirit, a demonic spirit. From River Phoenix, another famed actor whose own life was cut down too short due to drug abuse, often spoke about his ability to conjure up different “entities” to portray something that only could only be described as demonic forces. From River Phoenix to William Seymour Hoffman, another famed actor who equally struggled with depression, drug abuse, was known for delving into the spiritual mire of “method acting” to the point where he would speak about “voices”. He too passed away just recently from a bout of drug abuse brought on by deep dark depression. It seems that one common theme between all of these actors, living or dead, convey one theme – voices. They hear voices. Yet to silence those same voices they are trying to let go of after the role has been concluded, they end up turning to alcohol and/or drugs. The one common theme between those actors, living or dead, is they end up being destroyed through substance abuse to silence the very voice or voices they had tapped into just to win critical acclaim. The truth is, Satan plays for keeps, and he is willing to grant a season of prosperity, fame, and all the sensual rewards which come with it – but at what price? Not only their body and mind, but their soul. The link between drug abuse and demon possession is vast. It’s equally valid to suggest that those who seem talented or gifted by certain traits and/or ability do so because they have allowed themselves to tap into an ability just like Ledger, just like Nicholson and just like so many of the past, that there can be no doubt that in many cases, most cases I believe, that the only true or genuine reason for someone to perform at such a level of grand talent is because at some point that individual, conscious of such agreement or not, has allowed themselves to become open to the spirit world. In the case of Johnny Depp, he stated not long ago that he felt he had over 3,000 spirits which lived deep within him and were at odds with each other, always fighting to gain hold of his mind. Depp openly acknowledges the problems of substance abuse in his own life, yet another indication of how far someone can stoop just to try to silence the “voices”. No other performer other than possibly Jonathan Winters, could demonstrate his ability to tap into the spiritual realm to convey a world of unusual characters in such lightening speed other than Robin Williams. 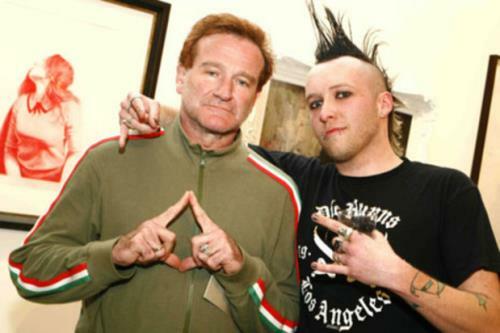 Robin Williams acknowledged that he had opened himself up to transformative demonic powers that aided him on stage. In a recent interview, Williams stated that, “Yeah! Literally, it’s like possession ‑ all of a sudden you’re in, and because it’s in front of a live audience, you just get this energy that just starts going…But there’s also that thing ‑ it is possession. In the old days you’d be burned for it…But there is something empowering about it. I mean, it is a place where you are totally ‑ it is Dr. Jekyll and Mr. Hyde, where you really can become this other force. Maybe that’s why I don’t need to play evil characters [in movies], ’cause sometimes onstage you can cross that line and come back. Clubs are a weird kind of petri dish environment. I mean, that’s where people can get as dark as they can in comedy ‑ in the name of comedy, be talking about outrageous stuff and somehow come out the other side. I mean, that’s one place where you really want to push it” (Robin Williams, “Robin Williams,” by James Kaplan, US Weekly, January, 1999, p. 53). 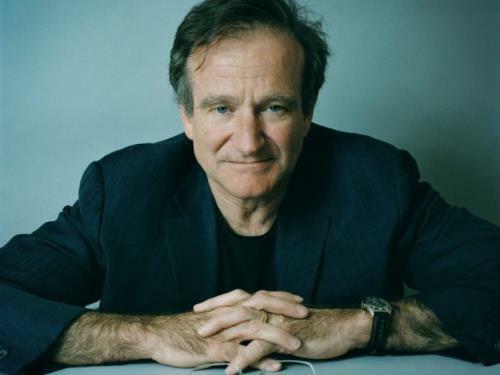 Robin Williams only portrayed one dimension on film, but his live performances were anything but the lovable character actor, manic, so many seemed to fall in love with. In reality, Robin Williams was crude, vulgar, hostile to evangelical Christianity, and worse, was very sexually explicit. The truth is, Williams openly allowed his ability to tap into possibly thousands, possibly hundreds of thousands of demons to bring about such an array of characters that no wonder it took such a toll on him mentally as well as physically. This lead to episodes of drugs abuse, alcohol abuse, clinical depression, all of which took such a drastic toll that on August 11th, 2014, Robin Williams committed suicide. In an even colder, eternal reality, Robin Williams went out into eternity bound and warped by the very “voices” he often praised, but only now does it all become reality, that those same voices which he grasped hold of to build a large career with, would eventually turn on him in the end and drag his soul into eternity. The word says in Romans 6:23 “For the wages of sin is death, but the free gift of God is eternal life in Christ Jesus our Lord. The truth is, demon possession is a spiritual disease that invades the body much like an invisible, lethal virus; it is the attack of an unseen entity not of this world. If it is never recognized as such, there is no hope for the victim. The only solution is Christ and a turning from sin and repenting, allowing God to cast out the demonic voices and bring peace. That is the only true option for those caught up in this spiritual darkness. Demonic possession is very much a reality, and it’s affecting millions, especially those actors who have allowed these spirits to thrive on attention, for it is demons themselves who desire bodies to inhabit that makes this all even more dangerous. That is why there is no question that the #1 reason why drug and alcohol abuse is rampant within the lives of many in this particular industry is simple, because Satan rules this particular kingdom with an iron fist, and he promises many things, but the cost is simply too high. That cost is the soul. This is why demonic possession is so rampant within the entertainment industry, because the spirits desires something to live in, and those actors, famous or not, offer the prime real estate. The Kingdom of the Occult is alive and well in Hollywood. Yet many are failing along the way, tragically succumbing to the cold hard reality of this truth, we live in both a physical world and a spiritual world, which is made up of two factions, the kingdom of God and the kingdom of Satan, it is the decision many make which will determine not only what kingdom they are willing to live, but ultimately how much are they willing to pay? And sadly that ultimate price will in the end consume them. Only Christ and the cross can set the captive free. It’s too late for Heath Ledger, or Phoenix, or even now Robin Williams, but it’s not too late for those who would desire to be set free. Do not fall for the trap of the enemy, but instead, submit to Jesus Christ and be free, and allow the joy, peace and satisfaction that only the Lord can bring to change one’s life, for that’s the only way God intended it to be.